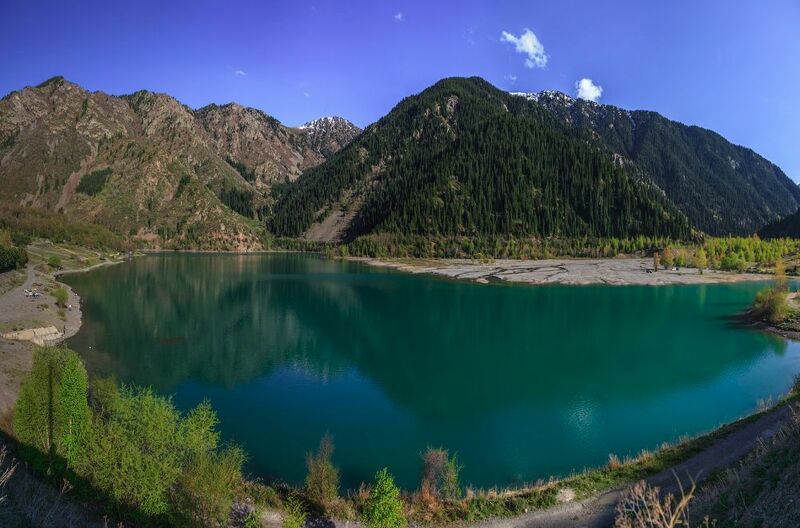 At an elevation of 1700 m (5,577 ft) above sea level, Issyk Lake (or Lake Issyk) is located in the Issyk Valley about 90 km (56 mi) from Almaty. The lake was formed roughly 8-10 thousand years ago. 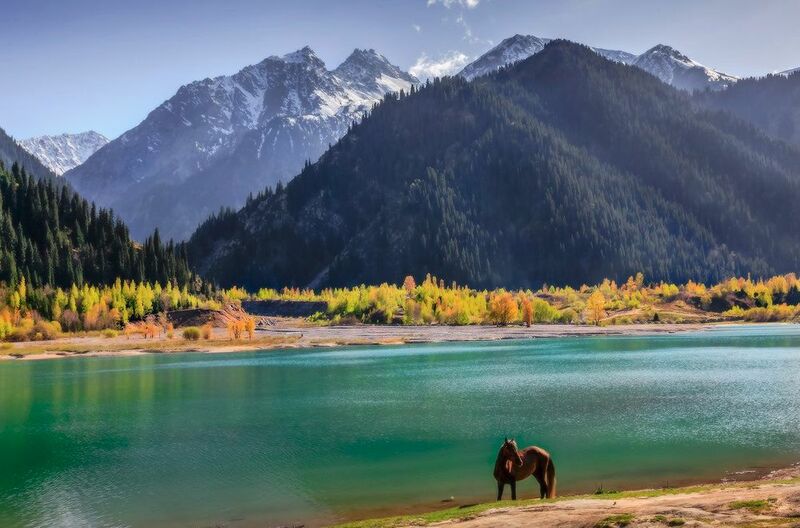 The road leading to the lake passes by Issyk Barrows (tombs) where the “Golden Man” was found, and has become a symbol of Kazakhstan. 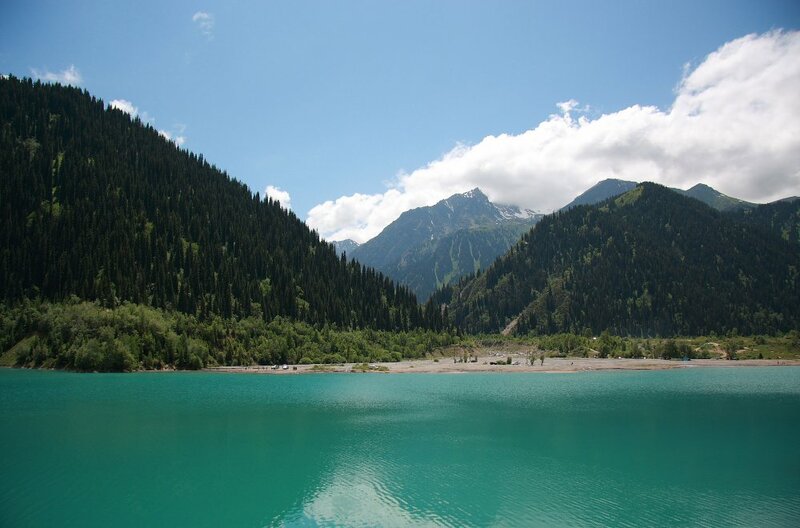 Before being damaged in 1963 by a catastrophic mudflow, the lake was considered to be the main attraction of the Zailysky Alatau. 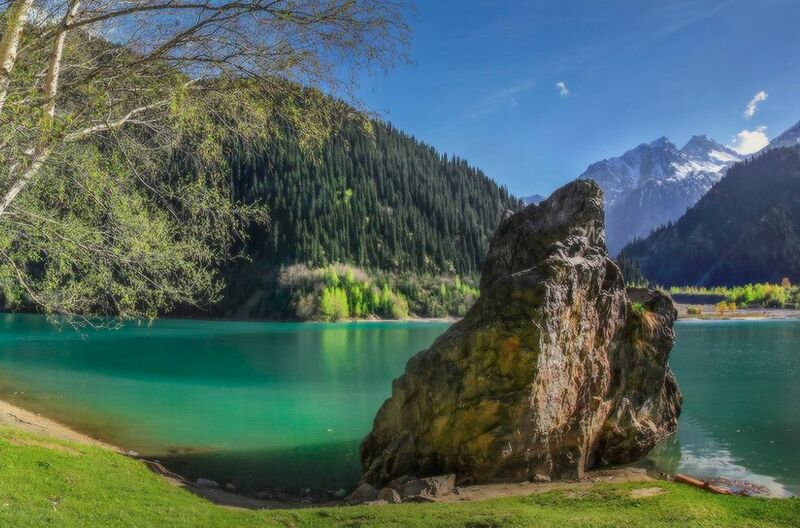 In an environment of rocks, alpine meadow and forest, it is possible to find rare plants, which are included in the Red Book of rare and endangered species of Kazakhstan. Although the lake is partially restored to its former beauty, it still bares scars from the natural event in 1963. 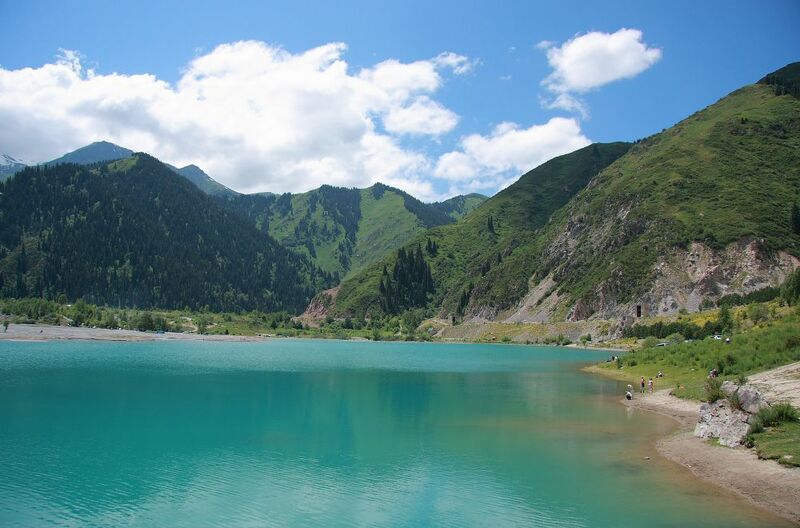 The lake is on the border of Alatau National Nature Park and Almaty Preserve, that were created for the protection of plants, animals and natural scenery. 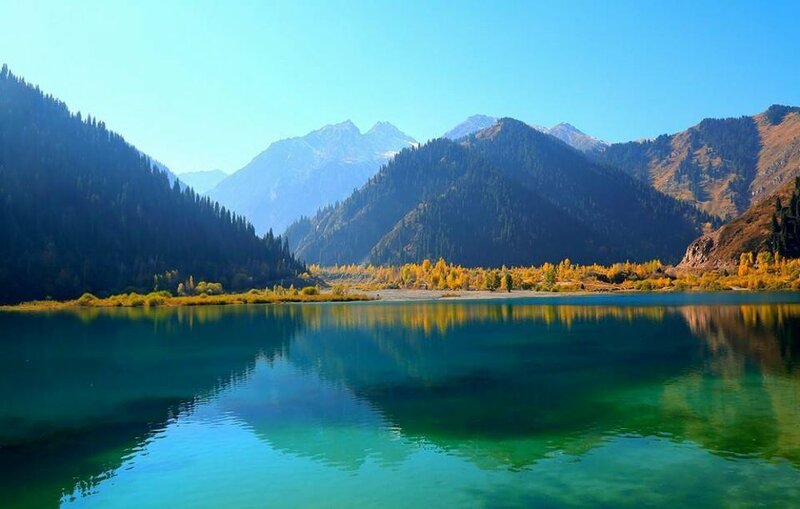 Near the lake is a beautiful rock formation called the “Kremlin Wall”, and id conditions are right, you can see deer and other native wildlife. The lake water is cold and pure, providing a habitat for iridescent trout — fish living only in clean flowing or spring water. 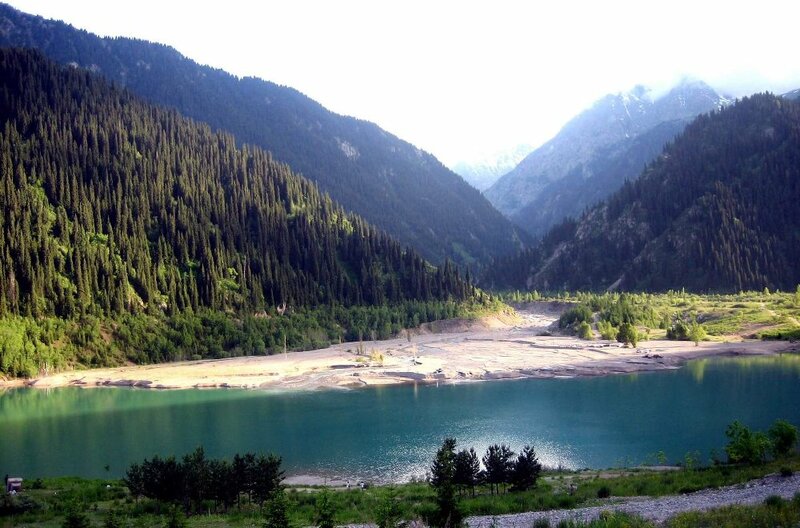 Along the Issyk River are glades where you can relax and have a rest, breathing the clean mountain air. 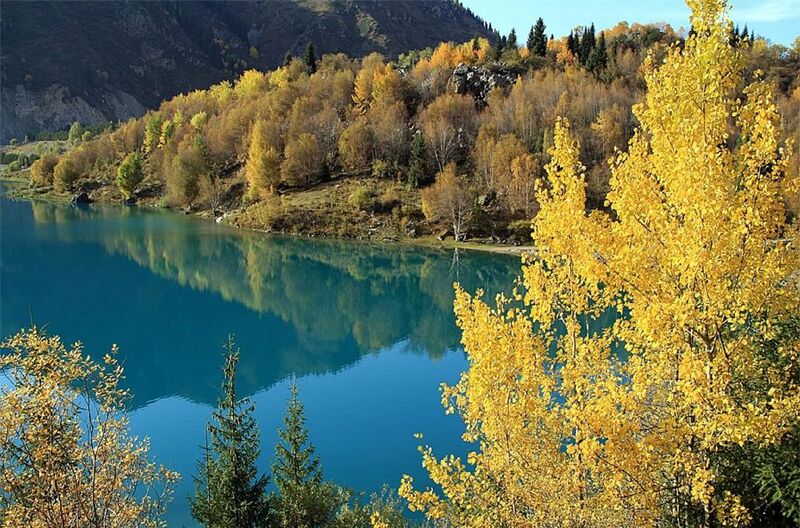 It’s necessary to wear comfortable footwear and clothing when hiking around the lake.